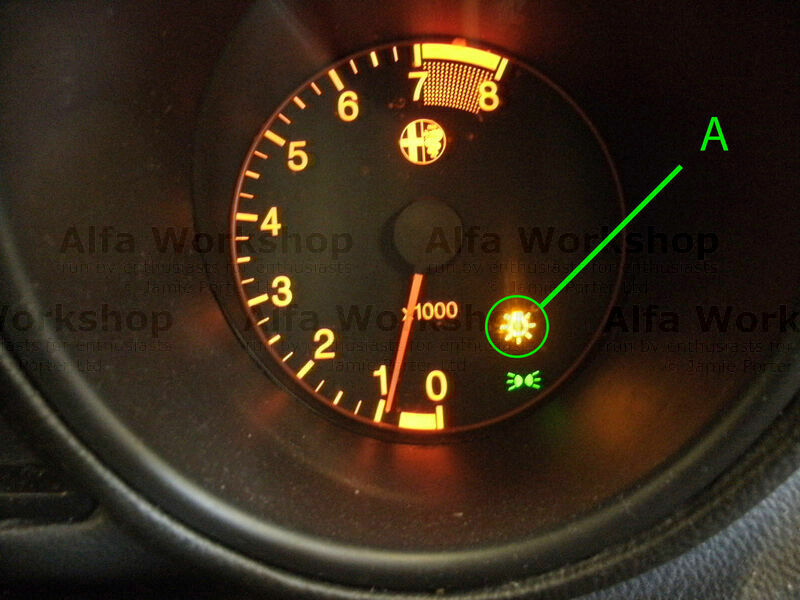 If this light comes on the dash of your Alfa 156 your will either have a side light out or a number plate light out, this is a guide to replacing the number plate light bulb. 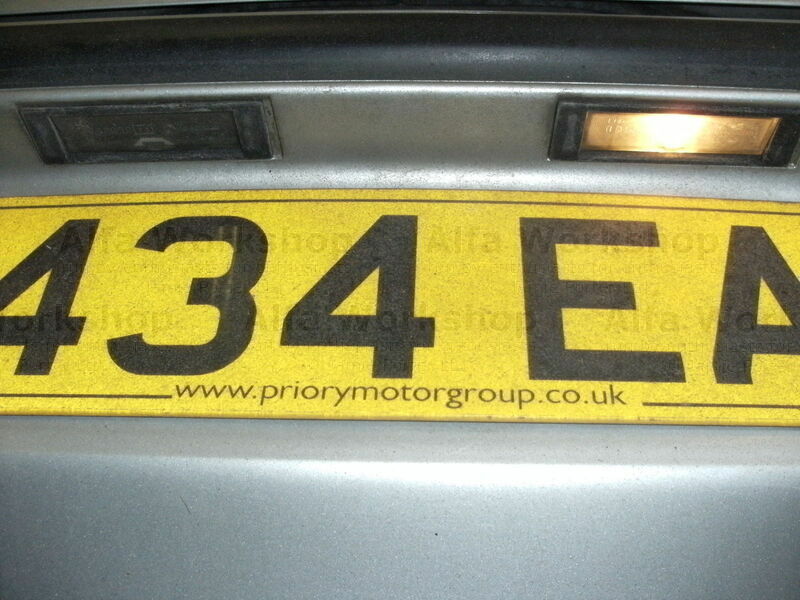 You have to check to find out which bulb needs replacing first. 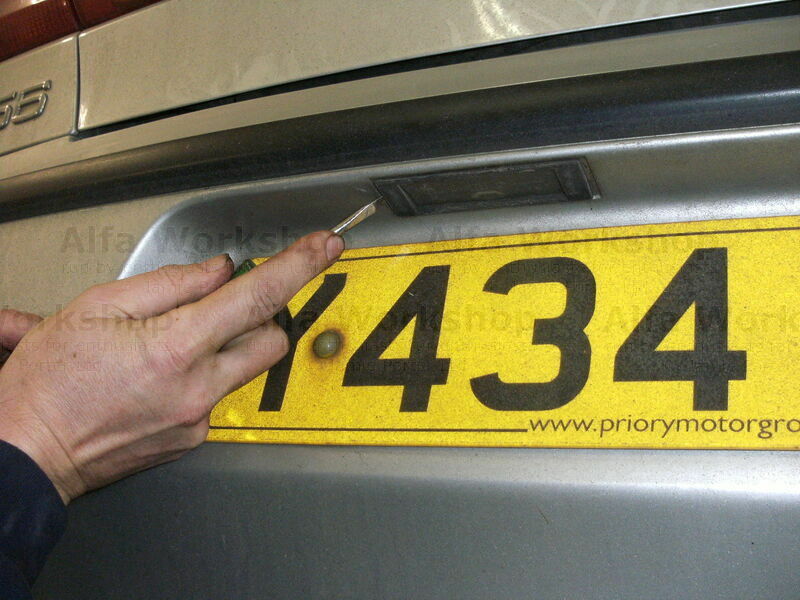 Using a blade screw driver push the number plate lamp holder towards the right hand side of the car. 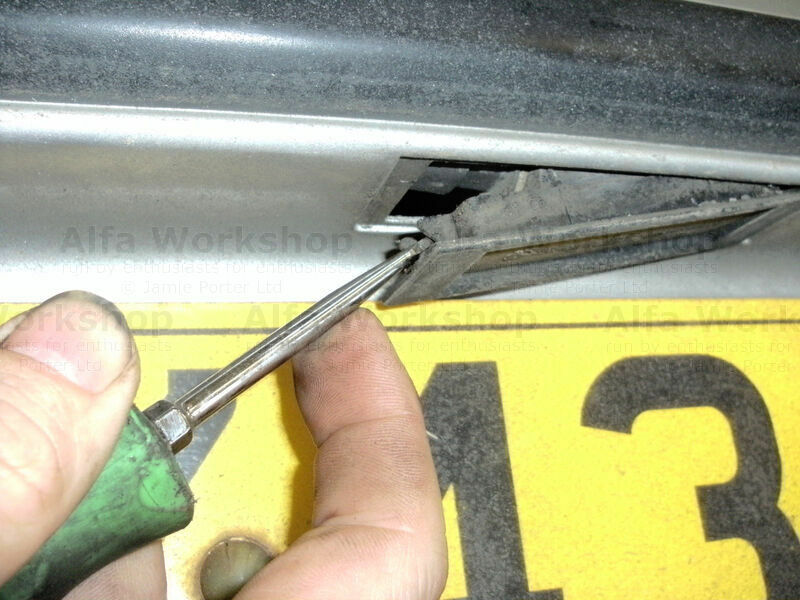 When it reaches the stop the holder should pull downwards. 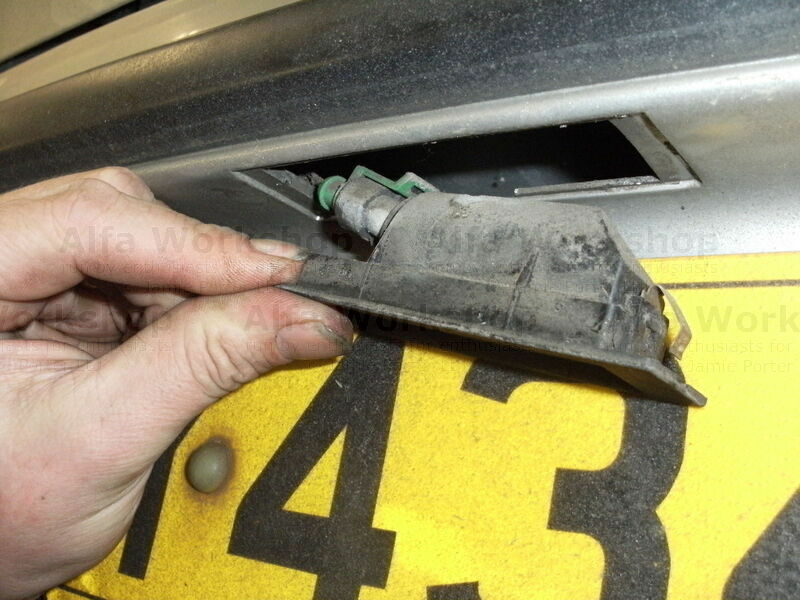 You can now remove the holder from the bumper. 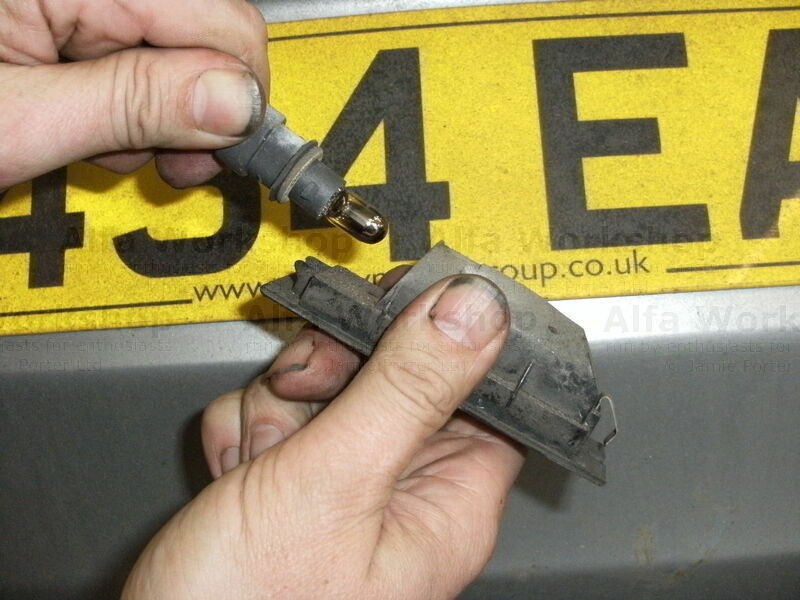 Turn the bulb holder anti clockwise to remove it from the lamp holder. 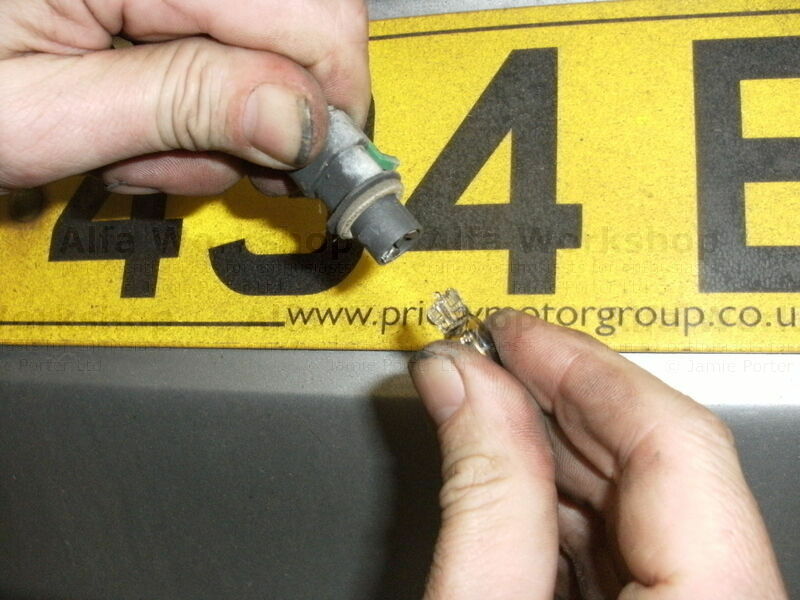 Pull the bulb part number 14144190 out of its holder and replace with a new one, check it works and then refit using the reverse of the procedure above.